During my recent family holiday to Lanzarote with my wife and our 12 year old daughter, we hired a car for our whole week and we’re so glad we did. 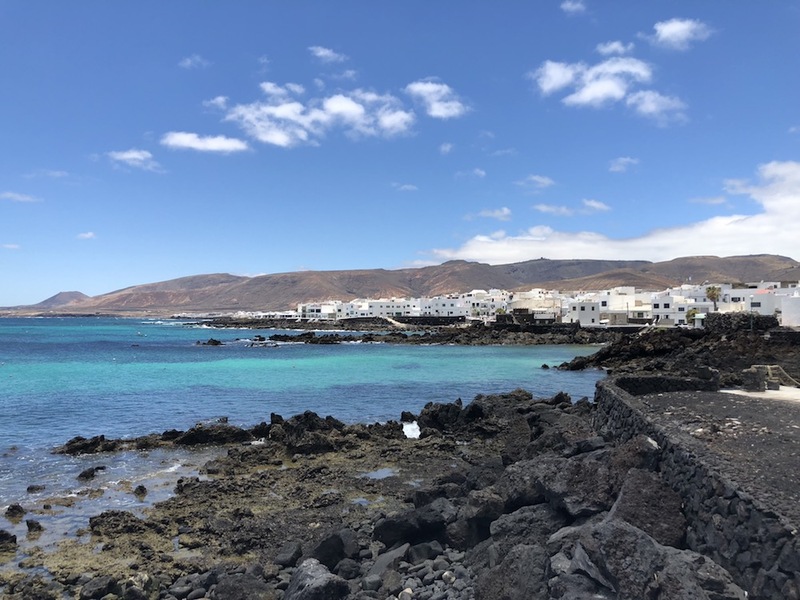 We spent our days driving on the island and these are our top 9 things, we discovered whilst out exploring Lanzarote by car. Everyone should visit El Mirador de Femes. There is a stunning bar and restaurant at the top which provides the most amazing panoramic views over Playa Blanca. You can also walk around the area or sit down and soak up what I consider to be some of the best views in the world. Arrieta is situated on the North East coast of Lanzarote. It is around 30KM from the airport. We spent the day snorkelling at the beautiful beach of Playa La Garita and we enjoyed lunch at one of the beach front bars. We loved Arrieta so much that we returned one evening to enjoy some mojitos served from a converted VW Camper on the beach! Punta Mujeres is a pretty coastal village in the North of the island close to Arrieta. It has a series of man made swimming pools and lagoons along the shoreline. The pools have stainless steel stairs and handrails and the sea comes crashing in over them which is stunning to watch. We felt like the only tourists there, none of the staff spoke English in the restaurant we chose to eat at. We were however able to get by and the tapas was brilliant. I really enjoyed the vibe of Puero Caler. It is a marina located between Puerto del Carmen and Playa Blanca. The marina is home to a market which runs every Tuesday and Friday. We enjoyed wandering around the stalls before having a cold beer and tapas, and we ended our day aboard a catamaran. Whilst out on the catamaran we spent some time off the coast of the beautiful natural beaches at Papagayo. Some say that these beaches are the best on the island. It’s really picturesque with a collection of coves and crystal clear waters. Our Daughter wanted a henna tattoo whilst we were on the island so after some research we headed to the heart of Lanzarote in Masdache. We stopped off at El Campesino, Volcaland where a guest henna artist was situated for the day. The area of La Geria is recognised as an Unesco World Heritage Site. The views of the volcanos from the terrace are outstanding! There is a buffet restaurant and Volcaland holds various entertainment evenings. It is also a stop off spot for a lot of excursions. The power of the waves crashing into the rocky cliffs at Los Hervideros is incredible, I loved following the footpaths to find the peep holes into the sea. We also enjoyed the balconies which have been built into the rocks to enhance photo taking opportunities. Los Hervideros is located along the coast from El Golfo. Haria is a village known as the Valley of a Thousand Palms. It is in the North of the island and very green, due to the amount of palm trees. We drove up to Haria on a Saturday morning to experience the market in the main plaza. The goods on offer were a variety of traditional crafts and lots of fresh food. Driving whilst abroad can be a daunting task but this was not the case in Lanzarote. The roads are well sign posted and I found navigating the island fairly easy. The roads are very well maintained, we didn’t see a single pot hole and not one traffic jam! I’d encourage any visitor to get out from the holiday resorts during a stay on this Canary Island and enjoy discovering the real Lanzarote. Either by guided coach excursion or even better at your leisure with a hire car.